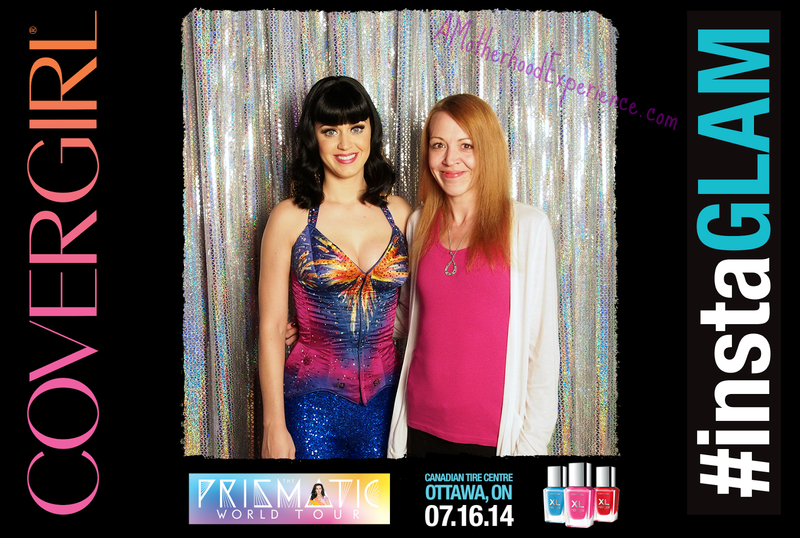 Last week you may have seen me tweeting and facebooking about my exciting news: I was invited (along with a guest) to see Katy Perry in concert at the Canadian Tire Centre plus a meet and greet after the show! As you may know, Katy Perry is a COVERGIRL for the new #InstaGLAM "Ready, Set Gorgeous" line of makeup. I for one love Katy Perry. Her music is uplifting and inspiring, shes such a great performer and shes absolutely gorgeous! She is an advocate for everything beautiful and fun, inside and out. I brought a good friend of mine, Melanie. 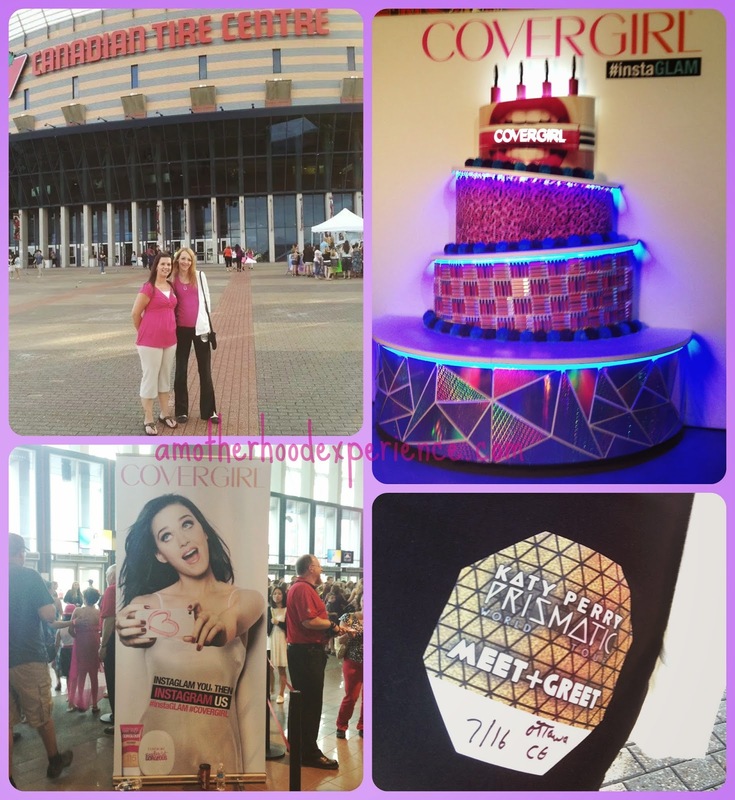 We were so excited for the whole girls night out experience, seeing Katy Perry was the icing on the cake. Speaking of cake, my birthday is in a couple of weeks so it was great timing. 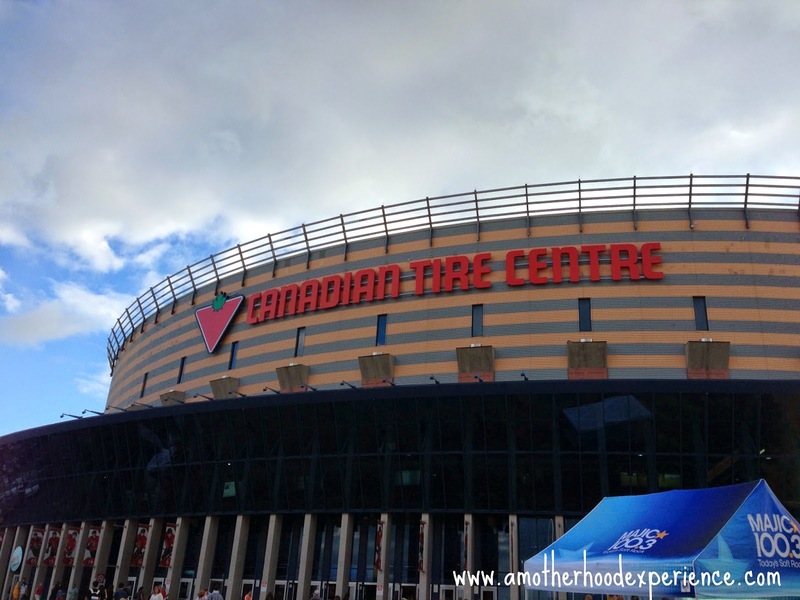 We headed off to the Canadian Tire Center the evening of July 16th to have the time of our lives. The drive there was a bit long, it was traffic hour and it was jammed at some places but we made it in good time! We were a bit early which was fine because it gave us a chance to check out (and take pics of) all the things set up around, check out the merchandise kiosks, find the section we needed to be in and scope out the closest washrooms! CoverGirl made it all about #InstaGLAM with a big birthday cake photo booth where you could have your picture taken. The line ups were a little crazy so we didn't get around to getting a picture but we did take #InstaGLAM pics of our own! Before getting our seats we met up with the person who was in charge of the meet and greet for some information and our meet and greet stickers. We went on our way to our seats. 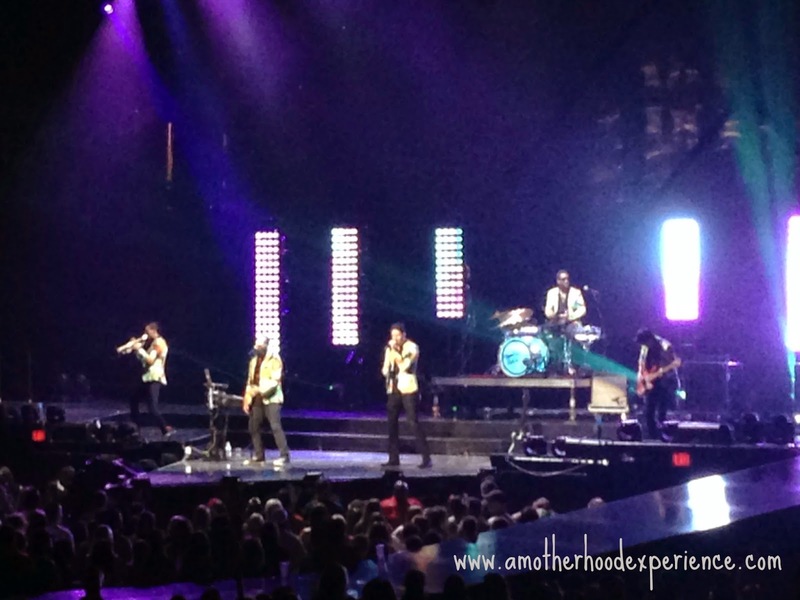 We sat down in time to see the first acts Ferras and Capital Cities, who got the crowd pumped and ready an incredibly energetic night! The place was sold out and I don't think many people were sitting in their seats once Katy took the stage. The show began with a giant prism opening up to reveal Katy in an outfit with neon glow lights all around singing her hit ROAR. Throughout her two hour set, Katy made several costume changes to accommodate the stage setting from Egyptian theme to cats, bright neon smiley faces to flowers and a giant dress. Many of her hits were preformed like "Dark Horse", "I Kissed a Girl", "Birthday" and "Unconditionally" to name a few. Katy seemed to be magician-like, popping up in different areas of the stage throughout the show. 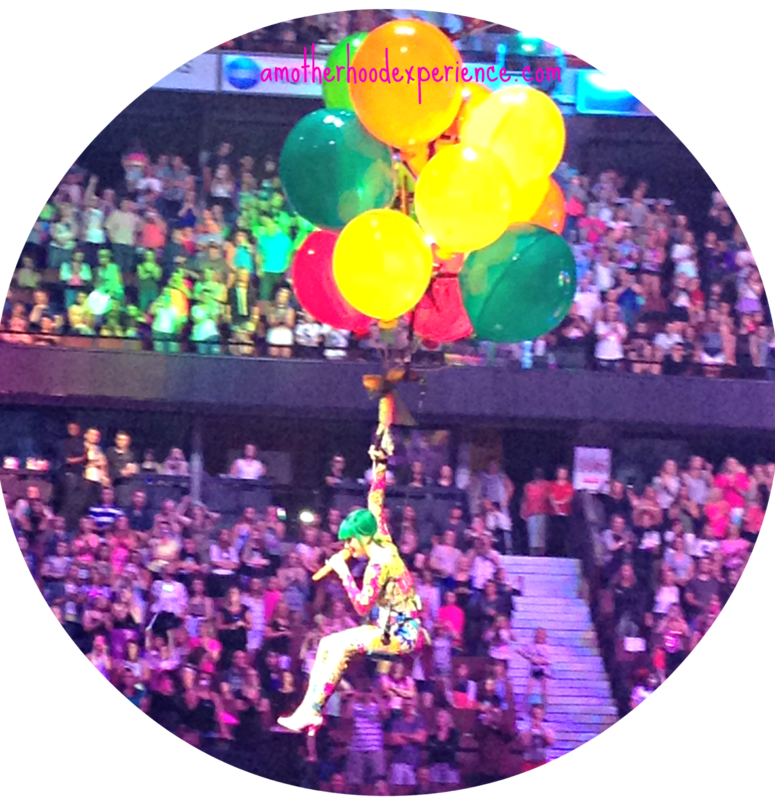 She walked on air and flew with balloons! The set was very well put together and allowed her to get up close and personal with some of the fans in the "Reflection Section". There were surprises throughout the show like a pizza which Katy gave to a young fan, as long as he promised to share. Another fan got to be sung to by Katy while she sat on a birthday throne and wore a birthday hat! Not to mention the funny floating CoverGirl lipstick among other interesting props. We missed the last couple of songs because as she began Firework, we were whisked away to the floor area to watch the rest of the song and then off to the back stage area for our anticipated meet and greet! There was a small group of us. We were lead to a very shiny "Prismatic Lounge" where tables and seats were set up. Very pretty and so Katy Perry. We were asked to put away our phones as no cell phone pictures were allowed and we all stood (most likely nervously) in line to wait for Katy to appear. 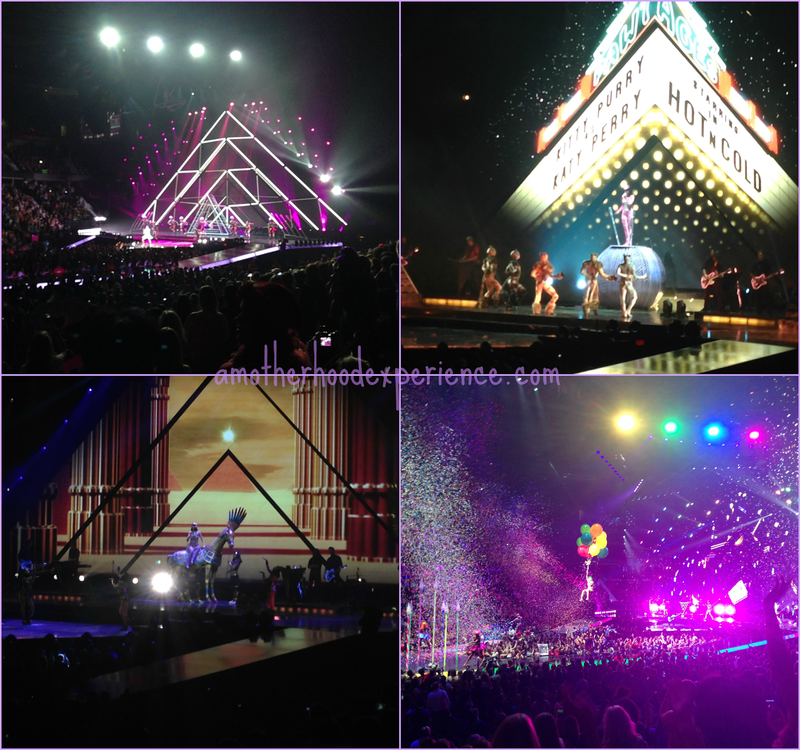 Katy Perry's #PrismaticWorldTour is one I am so happy I had the opportunity to see! Huge thank you to COVERGIRL for sending my friend Mel and I for an evening we won't soon forget! Posted by AME in participation with the P&GMom program. Perks and compensation are received as part of this program however comments, opinions and photos on this blog are my own. Oh wow! What a cool experience! Lucky lady to MEET Katy ! :) Congrats.. Sounds like an amazing evening! So fun you were able to share your experience with a friend. Something you will never forget. It is so necessary to get out and let loose!